We have some great news for all French-speaking e-Learners! In June, we’ve launched a new iSpring community in French. Now you have an opportunity to stay tuned for e-Learning news and upcoming events in your native language. What cool stuff can you find in the French community? We’ve launched the community together with Kapitec Software, our trusted partner. The company was established in 2000 in Toulouse, France. Kapitec Software is recognized for both its professionalism and the quality of its services. They focus on providing their customers with the best tools for developing better applications and engaging authoring. Kapitec Software has been focused on the e-Learning industry since 2014. 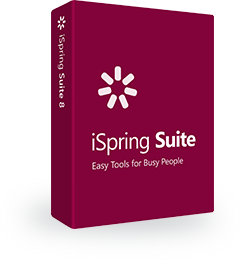 As an iSpring Certified Partner, Kapitec Software sells the complete iSpring product line, which includes easy-to-use e-Learning authoring tools, as well as a Learning Management System. They assist our French-speaking customers with any product-related questions and offer them dedicated services such as iSpring training courses and consulting services. If you speak French, you’re always welcome to contact Kapitec Software (Tél. : +33-4 68 70 98 41– sales@kapitec.com). They will be happy to provide you with technical support and help you reach your goals with iSpring products. 220 million people speak French. So why not start discussing e-Learning in French now? Join our French community on Facebook, Twitter and Linkedin.